Save 80% and get two additional quality programs for free! Install every program on up to three PCs! 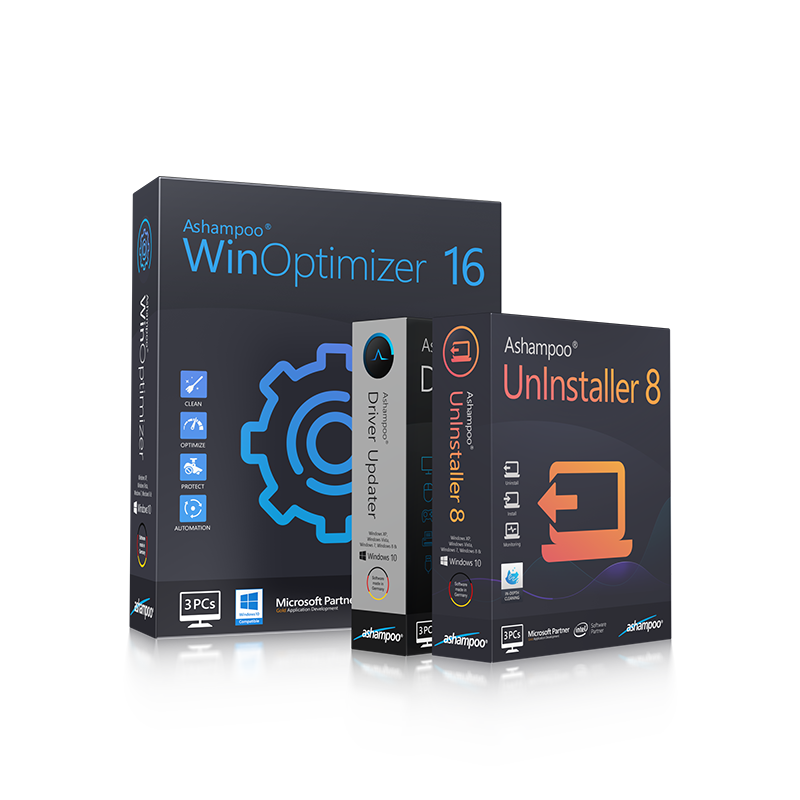 Ashampoo® WinOptimizer 16 Ultimate Edition was compiled by our experts to ensure your PC feels and performs like new. 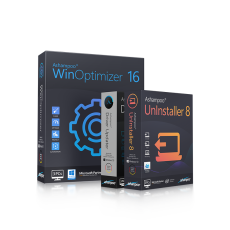 Ashampoo® WinOptimizer 16 provides perfect system maintenance, Ashampoo® UnInstaller 8 removes unwanted applications down to the last byte and Ashampoo® Driver Updater keeps system drivers always up to date for maximum performance all the time. Individually, each program is excellent - together, they are unbeatable! Eliminate unwanted programs, toolbars and plugins down to the last byte! 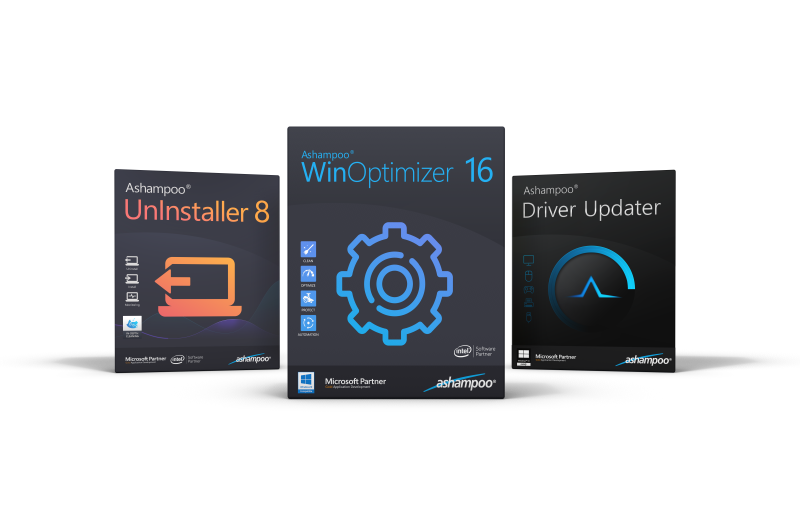 Ashampoo UnInstaller 8 is the solution to install, test and, if needed, uninstall applications with absolutely no leftovers. You are in control of what stays and what goes on your PC! Eliminate unsolicited software installations, browser extensions and toolbars at the click of a button! The program carefully monitors each installation to allow for total removal, including temporary files, later on thanks to detailed logging and Deep Cleaning technology! The built-in snapshot feature allows you to compare different system states and instantly identify any and all changes made by installers or programs. Wrong or old drivers are the enemy of every computer system. Often, drivers are missing or hopelessly outdated. Ashampoo Driver Updater not only finds the best drivers but also installs them for you.